This historical fiction takes place between the years 1130 to 1153 approximately. 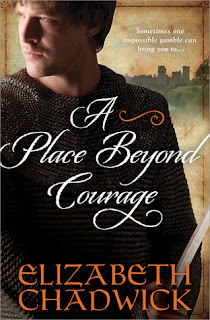 It tells the story of John Fitzgilbert - aka John Marshal - King Henry I of England’s Marshal . What does a marshal do? He administers some of the Kings business, such as keeping order at court, organizing transport and lodging when the King and his court are on the move, looking after the royal dogs and horses, AND looking after the royal prostitutes, among other duties. As with many books about the 12th-century, this one deals with the battle for the throne of England. Empress Matilda, daughter of Henry, and Stephen, Count of Mortain, Henry’s favorite nephew both want to sit on the throne. Many battles and castle sieges between the warring factions are described in the book, including the tactics and weapons used, how they defeated their enemies and/or were nearly defeated. The descriptions of day-to-day life in the 1100’s is interesting and gives the reader a glimpse into the hard physical work done by both men and women of the day. I didn’t particularly like John Marshal. I saw him as cunning and hard, a man who knew how to take advantage of opportunities that came his way, regardless of the outcome to others. At first he supports Empress Matilda’s legitimate claim to the throne. He then makes a marriage of convenience to Aline Pipard, to enhance his land holdings and wealth and begets 2 children. King Henry I dies and John changes his allegiance and throws in his lot with Stephen, whereupon he is rewarded with important fortified castles and manors. His wife takes it as God’s blessing, “…..to have given them this much, God must be smiling on them.” John disparages his wife’s religiousness and deals very condescendingly with her. Tension is brewing as Matilda flexes her muscles in pursuit of the throne. The ongoing feud between John and the prosperous, prominent Salisbury family has reached the ears of the Empress. She wants both of them on her side and offers earldom to Patrick Salisbury in return for his allegiance to her. Salisbury proposes that John put away his wife and marry into the Salisbury family thereby solidifying peace and prosperity between them. Ever pragmatic John, true to form puts his own interests first, divorces his wife of 11 years and marries a beautiful young woman, Sybilla Salisbury, who is superior to Aline (in his eyes) in every way. He falls deeply in love with her and has another 4 children by her. Day to day life for John Marshal and his family continue peacefully for some time. Then tensions erupt between him and King Stephen when the king demands the use of numerous manors owned by Marshal, as well as one his sons as a hostage in return for Marshal’s allegiance. The unthinkable happens and Marshal’s 5-year-old boy is threatened with death. John says, in effect, “go ahead, I can make more and better sons”! Eventually Stephen gives in, but the boy remains a hostage. After some years a truce is achieved. Empress Matilda’s son, Henry, is confirmed as heir to the throne at Stephen’s death. John’s position as hereditary marshal is confirmed and John returns to his family. I’m not convinced that the author liked John Marshal. When she refers to his son, William, who is a little boy in this novel, it is obvious that she is intrigued by him. 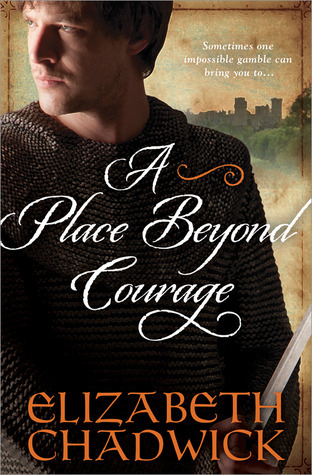 She uses glowing words to describe him both in this novel and in her two fantastic novels about William Marshal. The same feeling doesn’t come across with John, in my opinion. Normally I enjoy Elizabeth Chadwick’s novels, but there was something lacking in this one. Note: There are a couple of marital sexual scenes and plenty of religious expletives. If you are a Chadwick fan and want to add this one to your collection, be sure to read our interview post with Elizabeth tomorrow and enter our giveaway of this book.